Richardia pilosa Ruiz & Pav. 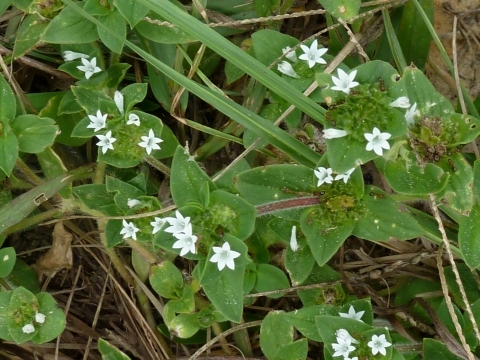 Richardia procumbens Sessé & Moc. Spermacoce hirsute Willd. ex Roem. & Schult. S. America - Paraguay, Brazil, Bolivia and Peru, north through the Caribbean and through Central America to southern N. America. ]. Sandy savannahs and grasslands, on roadsides, turf and in cultivated fields and waste areas.